How To Simplify Your Big Move Without Sweating The Small Stuff? So you have finally gotten that job that you have been trying so hard to get. That is great news, but it also means that you will have to move across the country. The only way to get everything moved and in time for you to start your new job you will need to hire a professional moving company. They will lift the heavy burden of moving off of your shoulders. Many people think that it costs more to hire a moving company, but in many cases, it doesn’t. This is especially true when you are moving across the country. If you were to move alone, you would have to make multiple trips to fit everything into your vehicle and if you’re moving a great distance that can get very expensive. Gas prices are not cheap, and those miles can really add up. If you have small children, you may even have to pay for a babysitter to watch your kids while you’re packing and moving. When you hire a moving company, you also get a lot of extra help, and you don’t have to hire anyone to move the big and heavy items such as your piano or entertainment center that seem to be made of lead. A moving company will supply workers who are skilled and trained to maneuver large items through narrow entryways, and they are also equipped what all of the necessary moving equipment such as ramps and dollies. If you were to move on your own, you would have to either rent or buy those tools, and that can get pretty expensive. It can really take the stress out of your move and especially if you are trying to get moved by a certain date. You have enough to worry about, and there seems to be an endless list of things to do such as utility hookups and disconnect, change of address, and so on. You don’t have to worry about getting enough boxes or packing material or being physically able to handle the exhausting job of moving. A moving company will often offer full service moving packages that will cover everything from packing to moving to unloading. They are also going to be very careful so that you don’t have to worry about your belongings getting broken. They often offer some coverage in case anything were to break on the move. If you were to move on your own and break something you get zero coverage. You can also continue to work up until the day of the move, and you won’t have to take extra time off of work which can get expensive. You will also be able to fit everything into the van that Allied Van Lines provides in one go, and they will also handle the driving. You don’t have to worry about the hassle of renting a moving truck or having to figure out what size of truck to get. You also don’t have to worry about driving a huge truck through the city when you are used to driving a car. Hiring a moving company can save you a lot of time and a full service moving company can also offer storage solutions so you can store your belongings for you. You may need this service if you are going to be staying in a temporary place until you can get moved into a more permanent location and will save you a lot of time and hassle. It’s important to stay organized, so keep a master list of all of your belongings so that you will be able to find everything once you get moved. 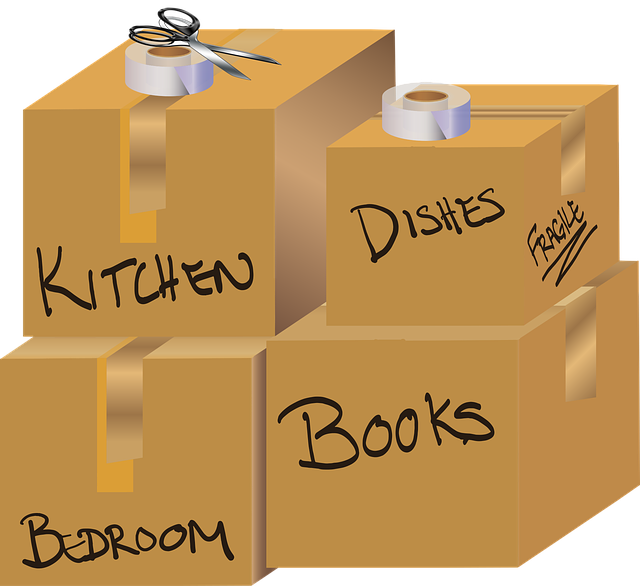 Label your boxes to the rooms they need to go to and also keep items that you will need right away in your personal vehicle so they are easy to find.